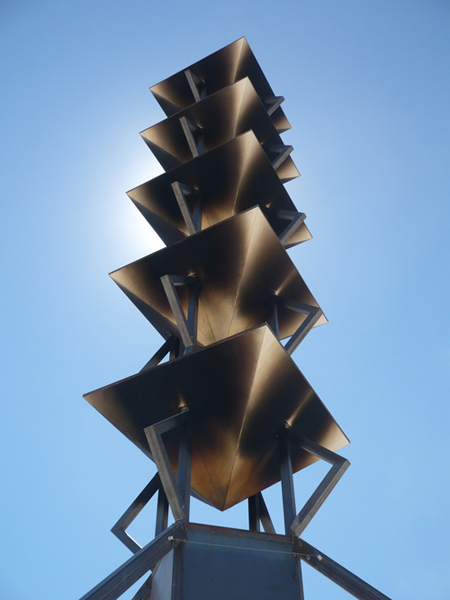 Spire of Fire, by local Reno artists Steve Atkins and Eric Smith, is BRAF’s fourth installation at our public art venue in Reno, Nevada, and will be on display June 20 – Nov. 15, 2011, on the corner of Sierra Street and Island Avenue, on the bank of the Truckee River in downtown Reno. Join us to celebrate this ongoing collaboration with the Reno community! – and be sure to catch all the activities on Tuesday and Wednesday evenings during Artown. Free fun for the family!